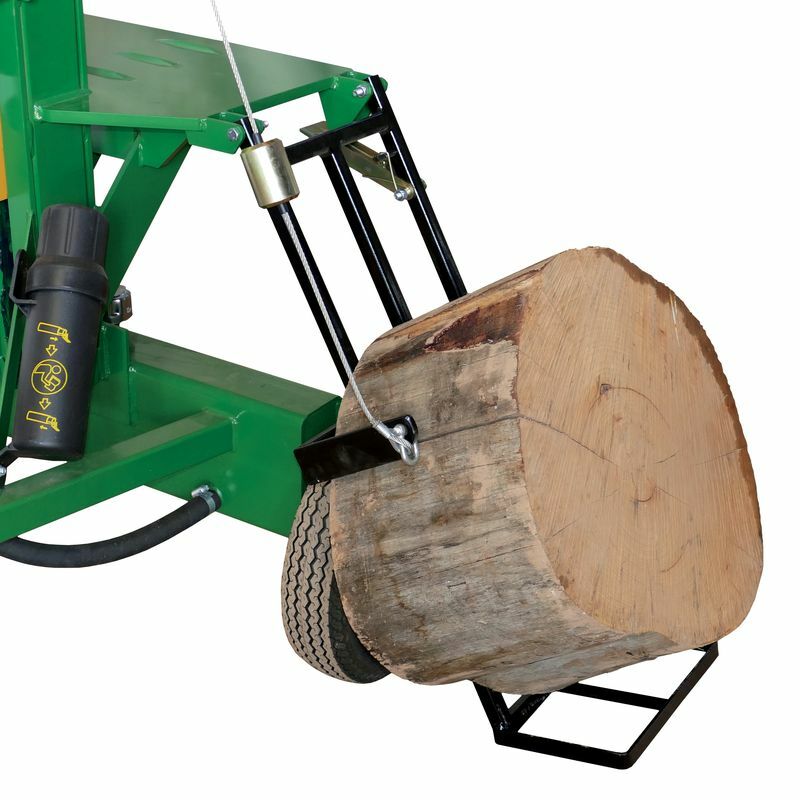 The smallest Aussie Chopper in the range, the WS100 is the ideal solution for processing domestic volumes of firewood. Fitted with a 6hp engine, and a 100kg capacity cable operated log lifter, the Aussie Chopper WS100 is surprisingly powerful. 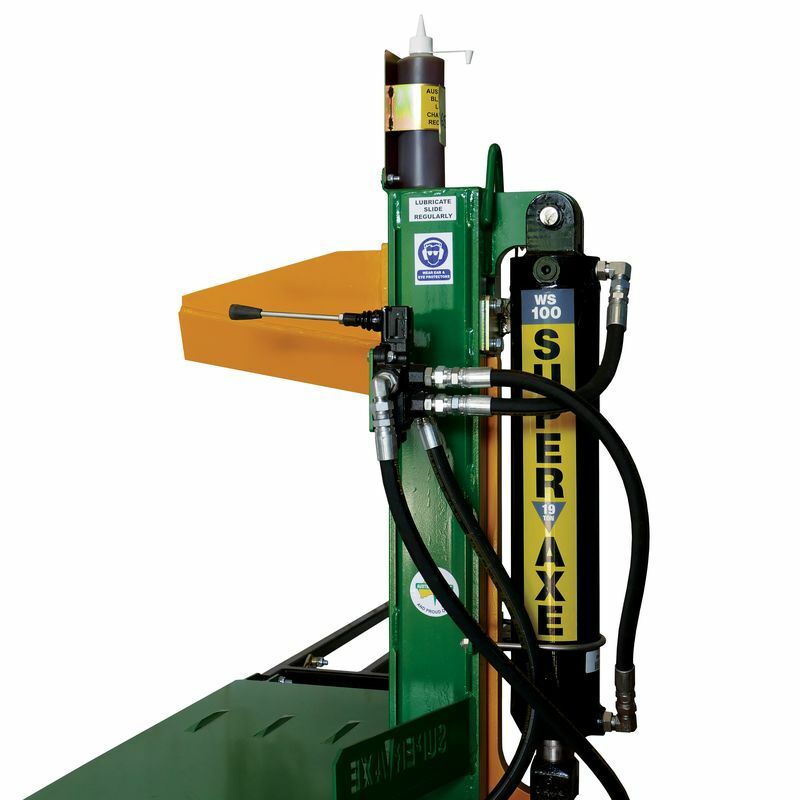 The WS100 features a single-handed control system that is compliant to Workcover guidelines. The 6hp engine delivers a whopping 19 tons of splitting force and 14-second cycle time. SLIDING BLADE: Patented vertical action sliding blade with innovative wedge design easily splits the toughest Australian hardwood. Handles different lengths of wood up to 450mm. 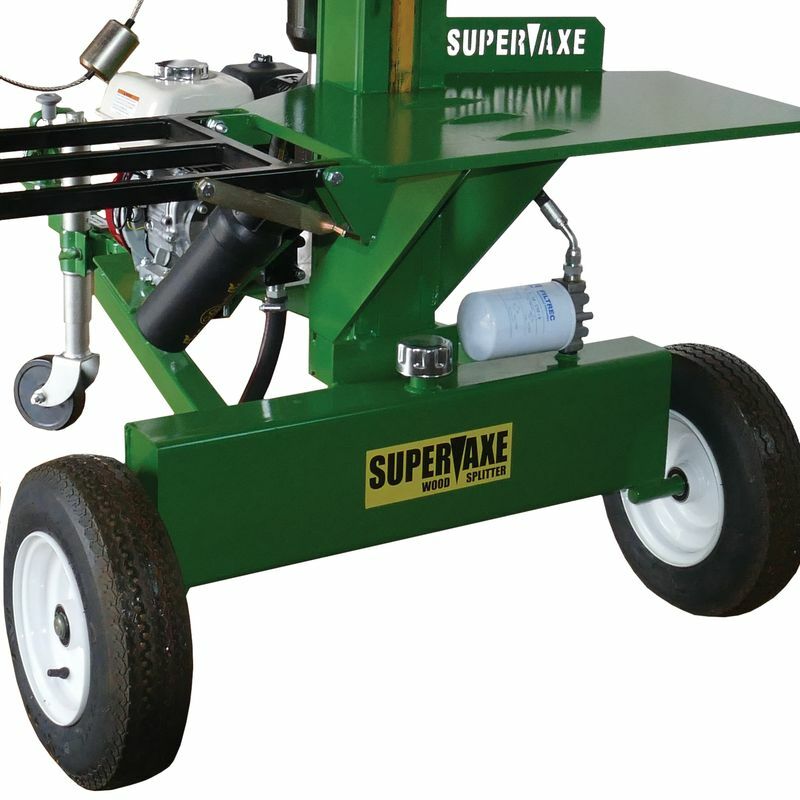 INNOVATIVE DESIGN: Block lifter, large bench area, compact, portable & towable. BUILT TO LAST: Rugged heavy-duty construction with minimal maintenance required. EASY & SAFE TO USE: Single handed (WS100) or double handed (all other models) control system enhances safety by keeping hands away from moving blade. These systems are completely Workcover compliant. 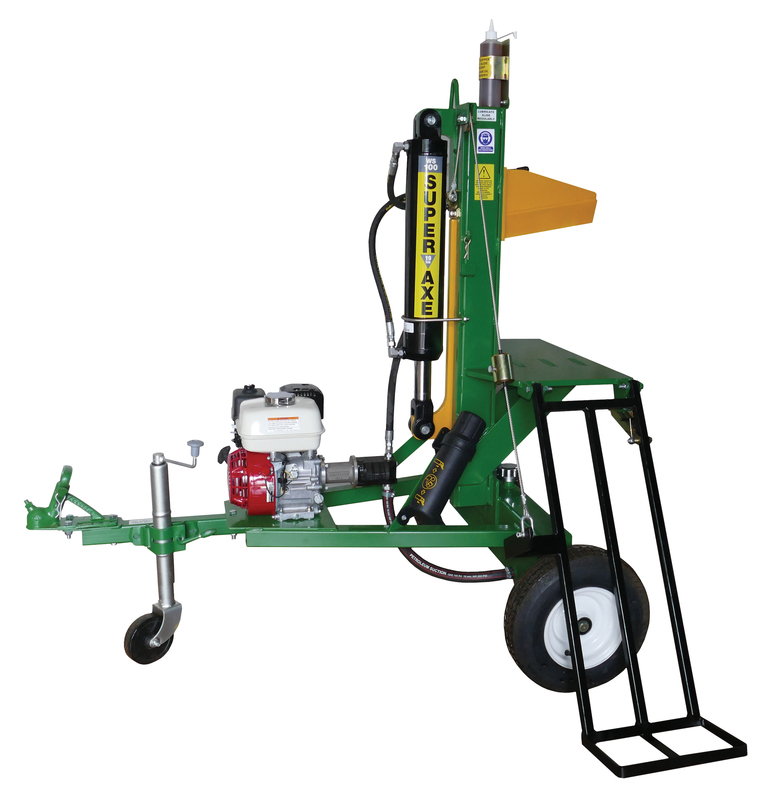 PICK UP: All machine are built in our workshop in North East Victoria. Once order is completed the machine can be collected from us directly during business hours. It can be towed if registration has been completed, or loaded into a truck, tandem trailer or flat tray ute.